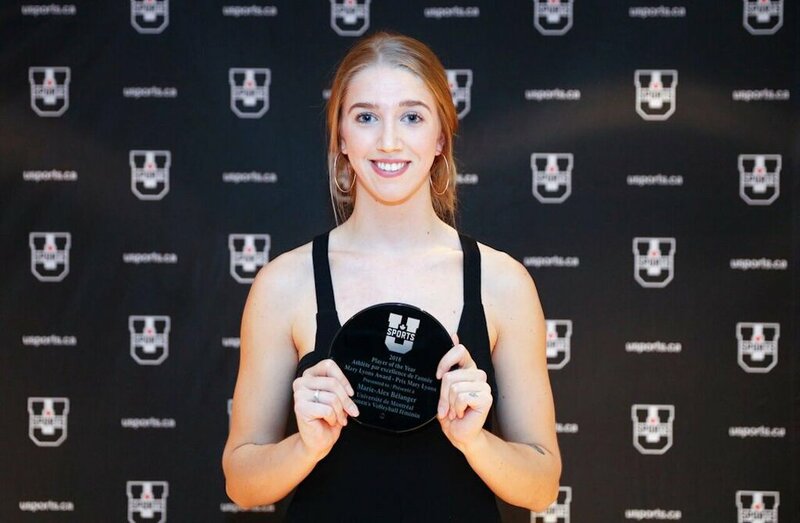 Montreal outside hitter Marie-Alex Bélanger was honoured with the Mary Lyons Award as U SPORTS women’s volleyball Player of the Year Thursday night, as the national award winners were celebrated at the annual All-Canadian gala. UBC outside hitter Kiera Van Ryk captured the Mark Tennant Award as Rookie of the Year, while Calgary outside hitter Brianna Solberg earned the Marilyn Pomfret Award for Student-Athlete Community Service for her outstanding contribution both on and off the court. 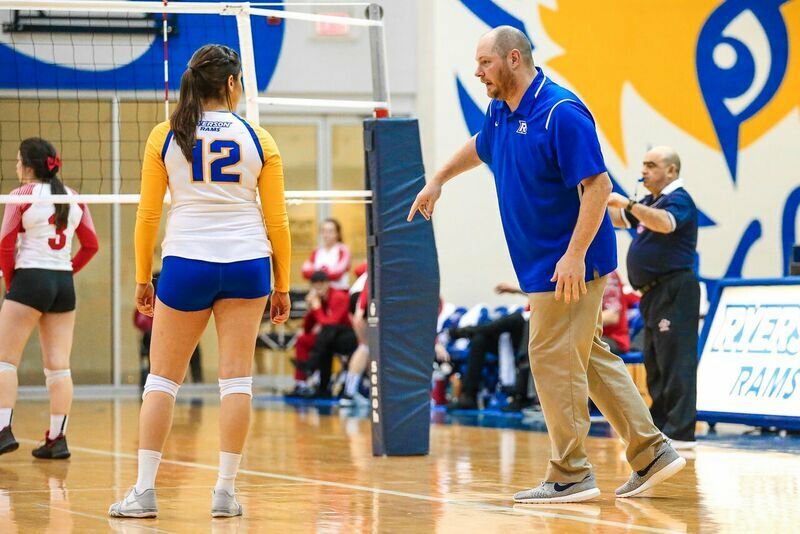 Finally, Ryerson bench boss Dustin Reid took home the Thérèse Quigley as Coach of the Year. 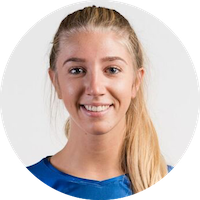 Marie-Alex Bélanger is enjoying her last moments with the Carabins, ensuring her fifth season is another memorable one. 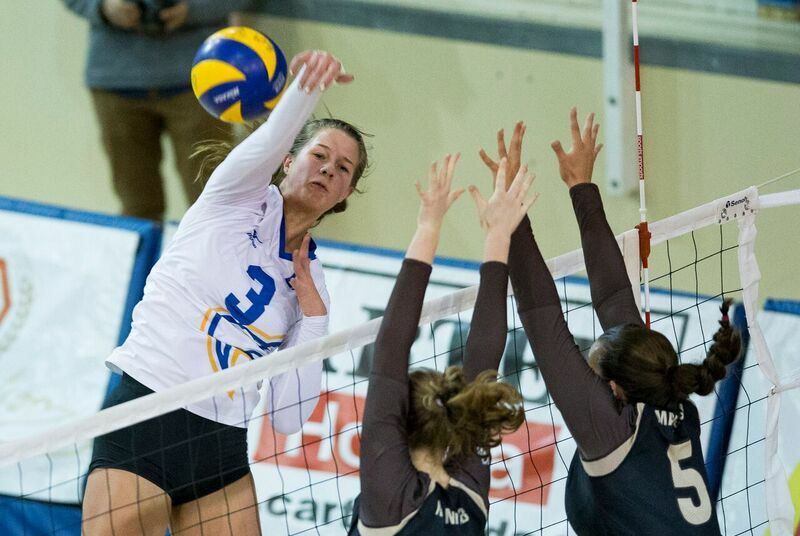 Her 255 kills top the RSEQ, an honour she holds since the 2015-16 season, while her average of 3.98 kills per set also puts her at the top of the nation. 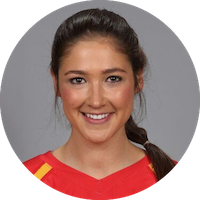 Four times during her five university season, she had the highest kills per set average. 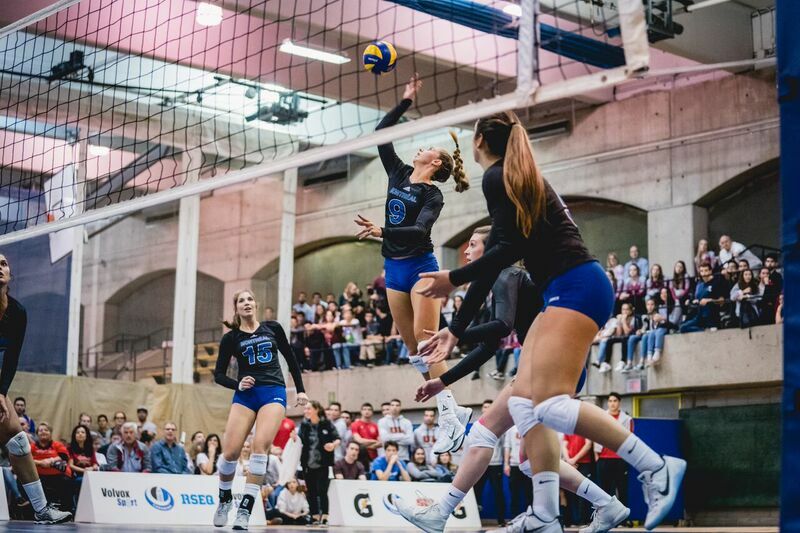 A U SPORTS title would cap a terrific career with the Carabins, before joining the Canadian senior national team heading to the World Championship. 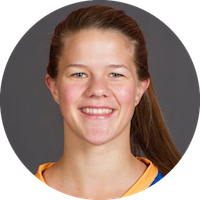 Named both a U SPORTS all-rookie and second team all-Canadian, Kiera Van Ryk is the 2017-18 conference Rookie of the Year – the first Thunderbird to do so. A native of Surrey, B.C., the 6-foot-2 outside hitter finished the regular season with 3.74 kills per set, tying for third in the nation. Van Ryk had a .204 hitting percentage ranking 12th in the conference, and led all players across the country with 411.5 points. People will really note her offensive prowess, but part of the respect I have for her and where she’s really helped our team is her all around play, and I think that’s also very rare in a Rookie of the Year. This is new territory for our program. Historically we’ve had some very good players, but they maybe hadn’t been called upon to do as much as Kiera has done this year as a rookie. 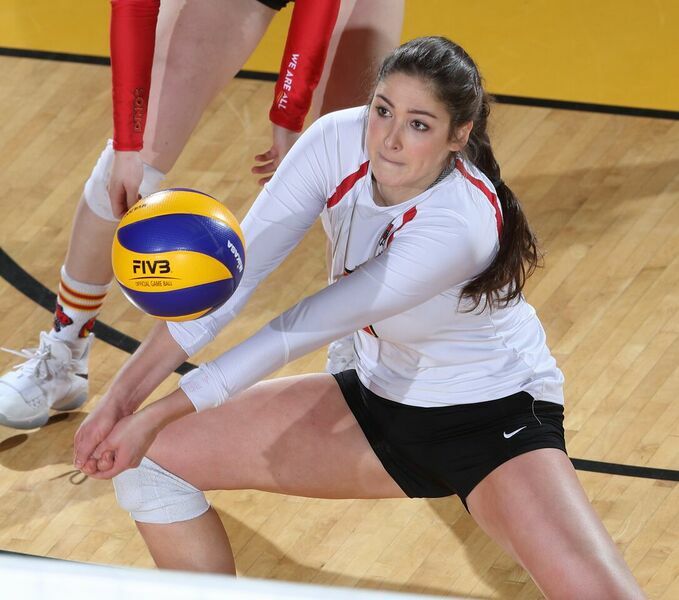 A starter for the Calgary Dinos the last two seasons, Brianna Solberg has epitomized what it means to be a student-athlete. The arts student has excelled in the classroom with a perfect 4.0 GPA the last four semesters, while also balancing volleyball and a lengthy list of ongoing volunteer activities. She is currently working on her honours thesis focusing on more sustainable public policy planning for transportation in Calgary. The goal is to decrease the amount of greenhouse gas emissions from the transportation sector and subsequent impacts of climate change. Her weekly volunteer activities include: practicing reading skills with kindergarten students at Terrace Road Elementary School as part of Calgary Reads programming, along with strength training exercises for adults along the autism spectrum through the Autism and Asperger's Friendship Society of Calgary's Stepping Out Program. She also volunteers several times a month at the Mustard Seed handing out hot breakfasts to shelter guests, and has also worked with the Cochrane Pregnancy Care Centre helping with outreach, fundraising and research. Brianna accomplishes more in a day than many people do in a week. She is incredibly intelligent with a huge heart to help the community around her. She is always looking for ways to challenge herself and give back to those around her. This award is well-deserved and I know a lot of hard work has gone into achieving it. She is a wonderful example to everyone around her about how to give back to our community. 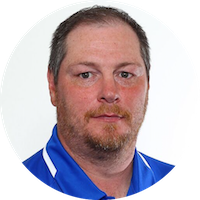 For helping to lead the Ryerson Rams to their most successful season ever, head coach Dustin Reid has been named the U SPORTS Coach of the Year, taking home the Marilyn Pomfret Award. Reid is the first Ryerson coach to ever win the award. Ryerson won their first ever OUA championship this season under the guidance of Reid and did so in undefeated fashion. The Rams went 19-0 in the regular season and was amongst the top in the conference in several statistical categories. 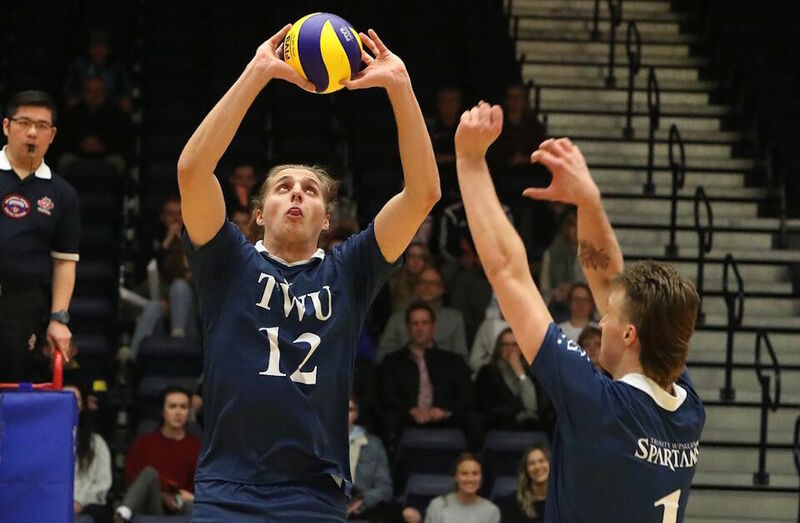 Among those areas wherein the Rams excelled were kills per set (12.87), hitting percentage (0.286), and assists per set (11.88), all of which saw the Rams ranked first in the OUA. Beyond that, the team also finished second in service aces per set (2.33) and blocks per set (2.33) and was the highest scoring team in the conference. Along with Reid's Coach of the Year honours at the conference level, seven different Rams players were named conference all-stars or all-rookies, speaking to the depth he has been able to secure on the roster. Coach Reid's commitment to excellence is apparent in everything he does. His team's performance on the court is second only to their academic performance in the classroom with a record number of All-Canadians in the program. To see his hard work and years worth of dedication be recognized at the national level by his peers is the ultimate honour.